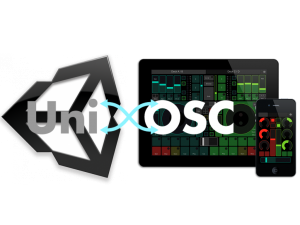 UniOSC is a tool to easy create Unity3d applications which can be controlled by hard/software that uses the OSC protocol for communication. OSC is protocol for distributed systems that is mainly used in the music industry and is often used as an alternative to MIDI. If you need more information about OSC please visit http://opensoundcontrol.org/ . You can use UniOSC to send/receive OSC messages to/from other devices that are connected via Wi-Fi or create your own GUI-app for controlling another Unity application via OSC but it is strongly recommended to use a third party software like TouchOSC for creating the GUI part. For more info about TouchOSC please visit hexler.net. Please go to the UniOSC site for more info or visit directly the Unity3d Asset Store.